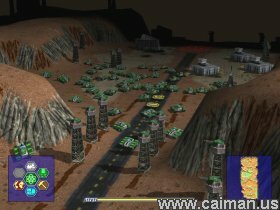 Caiman free games: Warzone 2100 by Warzone Resurrection Project. 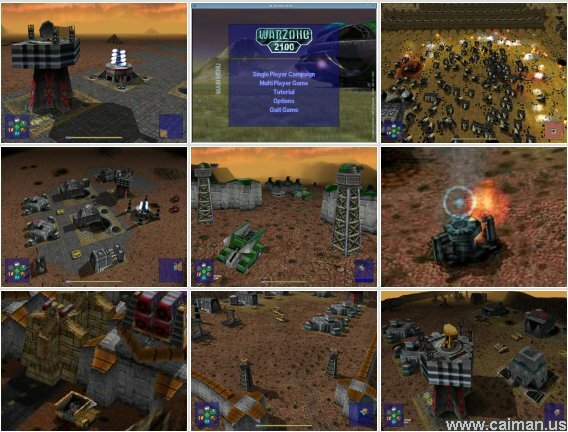 A fantastic 3D RTS with a Command and Conquer gameplay. The game has an easy and very good tutorial, but the controls are that easy that I could play the game without playing the tutorial first. A professional made game whereby you have to create a base. A command center, power supply, factory and a research facility. Then you need to find some oil wells and build an oil rigs on it (go get power). Of course you also can build walls and all kind of gun towers. Don't forget to protect your oil rigs too ;) You even can design your own type of tanks! Each level consists of a few missions. 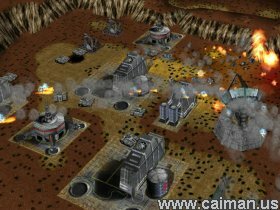 Mostly something as destroy the enemy base and steal their technologies (artifacts). source code was liberated on December 6th, 2004, under a GPL license. - Fix the path finding of droids, which got broken in beta 4.